Kemellies offer a range of next generation Hybrid flooring in many colours. Made from inert mineral compounds, this flooring provides excellent performance characteristics that are stable with little or no movement. With a snap & lock profile, our hybrid flooring is easy to install as a floating floor without the need for glue or nails. Each plank incorporates a stabilising balance layer on the underside with an attached acoustic cross-linked foam layer that delivers excellent noise reduction performance. Our complete range of hybrid floors are finished with a robust water based PU coating for everyday scuff resistance with an advanced embossed surface. 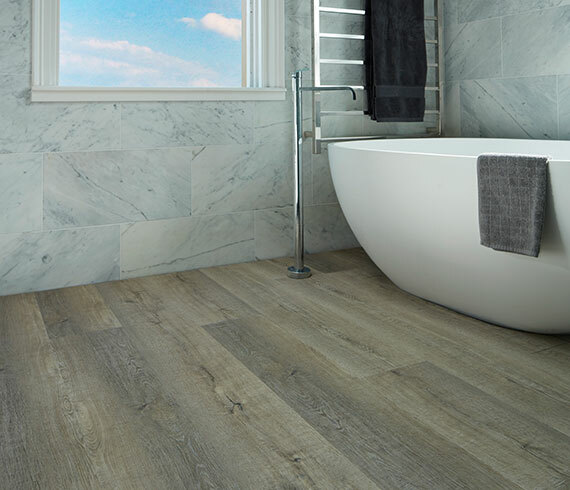 Our collection of hybrid floors are available in a choice of 10 contemporary oak designs and colours. There is also a range of Australian timbers for traditional decors. All produced in wide board format. This range of flooring offers unique interior waterproof options, is highly durable and provides instant appeal for modern housing, light commercial and retail shop fit out. 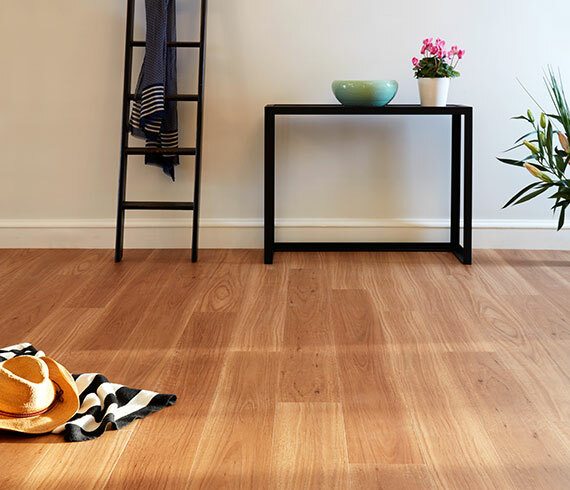 Hybrid floors are easy to install (no nails or glue required), easy to maintain and, due to their stability and exceptional acoustic performance, are the perfect flooring solution for contemporary homes. The scuff resistant finish means that they’re the ideal surface for families with kids and pets, while its good looks mean that you don’t have to compromise on aesthetics. And, as its available in a wide choice of designs and colourways, it can fit into both modern and traditional homes with ease. Add in its excellent waterproofing qualities, and you can see why many homeowners choose to buy hybrid flooring for their homes. It gives a pleasing combination of good looks, functionality and practicality. It’s resistant to stains, spills and scuffs and will stay looking good for years. Isn’t that what we want from our flooring? While hybrid flooring is becoming increasingly popular with people who are looking for a practical, hardwearing floor for their homes, it’s also a great choice for offices and retail units too. All the features that attract homeowners to the flooring are just as appealing for anyone who’s looking to give their commercial premises a modern, clean look. But what is hybrid flooring and what are the benefits of choosing this type of flooring over other flooring solutions? Put simply; hybrid flooring is engineered to combine the best attributes of laminate and vinyl to give you the ultimate flooring solution for any residential or light commercial project. Commercial Grade Wear Layer – the top layer has a similar finish to laminate to enable it to resist stains, UV, scratches and dents. Design Layer – a layer which incorporates many realistic textures and styles from wood finishes to slate and stone. Attached Backing – to aid sound absorption and give cushioning underfoot. Durable – the rigid core and top coating of laminate make it dent, scratch and stain resistant. Appearance – eye-catching designs mimic the real look and feel of traditional hardwoods without the need for extensive maintenance. DIY installation – a simple tongue and groove click lock system means that it’s easily installed. Comfort – the rigid core is denser and thicker than vinyl flooring, and by choosing an option with an underlayer you’ll get superior cushioning and sound absorption. Easy to maintain and clean – just regular sweeping, spot cleaning and an occasional deep clean. At Kemellies, we have one of the best selections of hybrid flooring Melbourne has available, so we invite you to come and see it for yourself. Whether you’re looking for flooring for your home, retail unit or office, you’ll find that we have an excellent reputation for being the suppliers of hybrid flooring Geelong residents trust. So why not pay a visit to our store soon? We’re open five days a week from Monday to Friday and will open by special arrangement on Saturday. Call us on (03) 5222 8425 to book your appointment.